From Arc Newsletter, Winter 2017. The Junction Miracle Continues. Saving Junction Earthworks was one of the most astounding undertakings ever undertaken in the Arc of Appalachia’s 22 year history. The viral campaign to save Junction helped to inspire the interest of residents across Ohio and beyond to preserve the ancient earthworks complexes of the Hopewell Culture, most of which are found only in Ohio.We are now poised to complete the leg of the campaign to save an even more-intact earthworks complex than Junction that lies just upstream from Junction and is known as Steel Earthworks. This will be the first time that two Hopewell earthworks complexes have ever been united anywhere in Ohio in modern days. Read more. Published July 21, 2016. This video was created by Tim Anderson, a resident of Chillicothe. 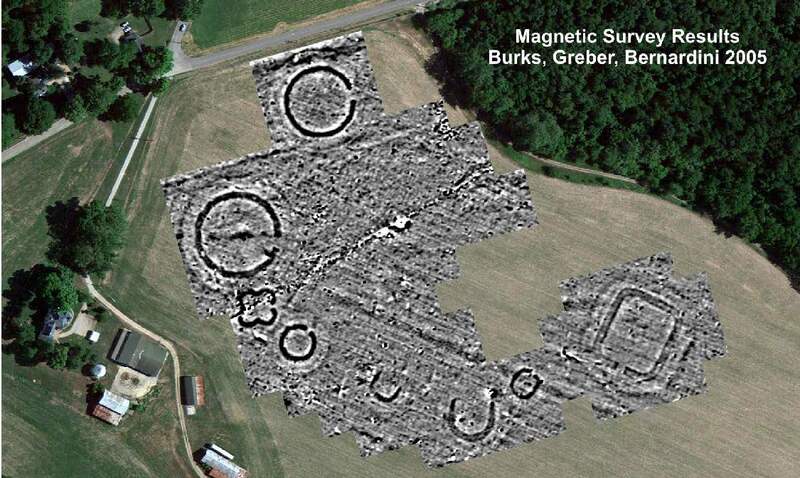 With his personal fleet of drones and beautiful aerial photography, Tim allows us to see the completion of the selective mowing process performed by Arc staff and volunteers to mark the foundations of Junction’s ancient earthworks. Published July 1, 2016. This video was created by Tim Anderson, a resident of Chillicothe. With his personal fleet of drones and beautiful aerial photography, Tim allows us to see the precision and effort it takes to outline Junction’s earthworks. This video shows the beginning of the selective mowing process as volunteers and staff prepared for the 2016 Grand Opening. Marking where the earthwork foundations lie underground with unmown grass make Junction’s ancient enclosure walls once again visible to visitors of the preserve. It took 60 hours of staff and volunteer work to complete one mowing. Published 2014. This video was created by Tom Engberg, Staff Cinematographer at Hopewell Culture National Historical Park. The short film highlights the significance of Junction Earthworks and emphasizes the importance of preserving the site. Thanks in a large part to this video being posted on YouTube, in just 8 miraculous days, enough funds were raised to save this treasured property from the auction block. Video: Aerials of Junction in the Spring by Tim Anderson Jr. Published 2016. 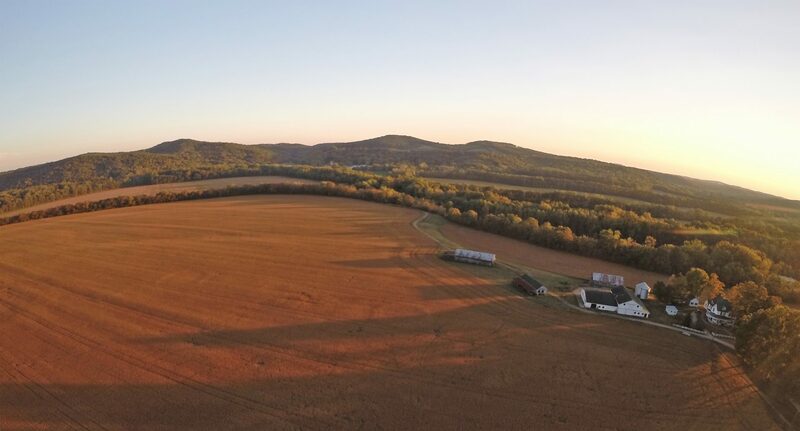 Tim Anderson, a resident of Chillicothe with his personal fleet of drones, has helped put Junction on the map with his beautiful aerial photography. Here are some aerials of Junction in the spring showing the earthworks field and hiking trail, the newly planted 70 acre prairie, Paint Creek Corriodor, and the backdrop of blue Appalachian hills. THANK YOU TIM!!! From Arc Newsletter Fall 2014. If the ruins of a Roman bath house in England, or the Temple of Artemis in Turkey, were to come up for sale today at public auction as potential development sites, the outrage would make international news. But when Junction Works, an ancient ceremonial site of the same antiquity was listed for auction in Chillicothe, Ohio, mention of the property’s historic earthworks didn’t even make the auction flyer. Read More. From Arc Newsletter Fall 2015. Barbara Herlihy, one of three family members who sold the 193 acres to our winning Junction Coalition, was our last speaker of the morning at our October Donor Gathering at Hopewell Culture National Historical Park. Following her presentation would be lunch, and then a tour of Junction. People were starting to wiggle in their seats in anticipation of a warm meal and a chance to stretch their limbs, but soon Barbara’s words spun through the crowd with a spellbinding effect. When Barbara came to a close, she was received with a thundering standing ovation. Here are the words that she shared with the crowd…Read More. From Arc Newsletter, Fall 2014. Outside my window, I was half listening to the metallic drone of cicadas, the ever present chant of a cape turtle dove (“work harder, work harder,” they urge), and the soft grunting of a family of warthogs, when I decided to check my email. Ohioans, 7 hours behind, were just beginning to stir in their offices. When I read the news, I shook my head in disbelief. “Chillicothe’s Junction Earthworks on the auction block—March 18.” That was only twenty days away! Read More. From Arc Newsletter, Fall 2015. We’ve had some memorable Donor Gatherings in the Arc’s past, but the one held last October at Hopewell Culture National Historical Park to celebrate the Junction victory was the most dramatic yet. Two hundred people gathered to watch a skit performed by our Coalition members retelling the behind-the-scenes events that unfolded over the three hectic weeks preceding the Junction Auction last March. We had deliberately not shared all of the chapters of the story in our previous newsletter, just so that our Donor Gathering attendees would be able to hear something new and entertaining. Read More. From 2015 Arc Fall Newsletter. 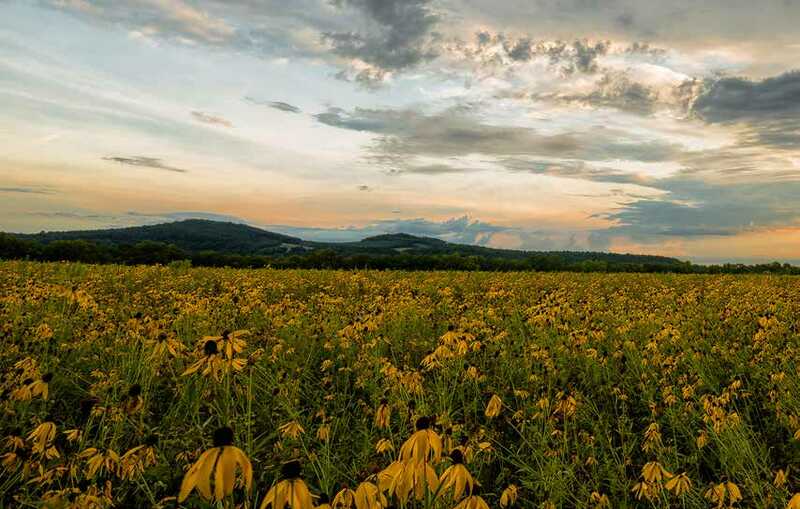 Paint Creek is convincingly Ohio’s most beautiful and historic watershed. One of its major tributaries is the Rocky Fork Gorge—the renowned canyon protected by the Highlands Nature Sanctuary. Another is the North Fork, whose junction with the main stem of Paint Creek lies just west of Junction Earthworks, giving the earthworks its name. The North Fork is distinguished as having earned Ohio EPA’s highest water quality rating throughout its entire run. 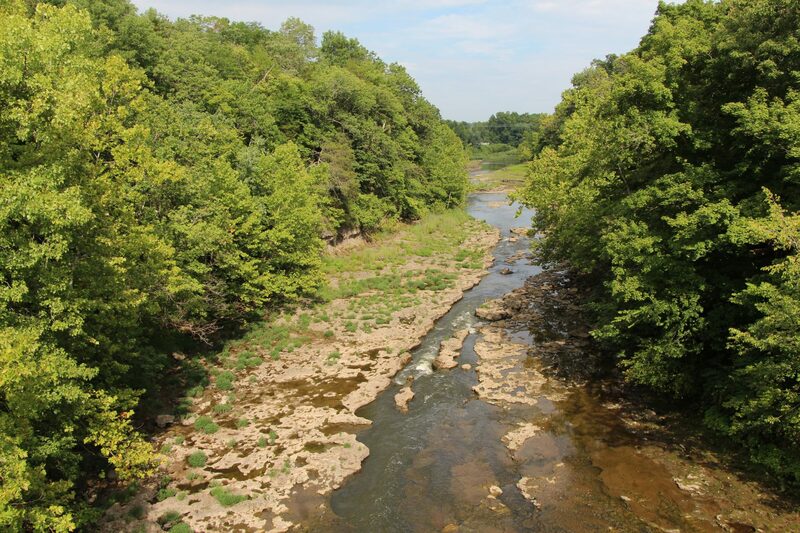 A third tributary, Rattlesnake Creek, helps feed the waters of Paint Creek Reservoir. It was named by early pioneers who were awed and frightened by the immense numbers of timber rattlesnakes that once hibernated in the rocks overlooking this grand waterway.Read more.